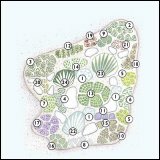 � Create an Alpine Garden: Rock plants like well drained soil. Their natural habitat is high alpine areas as well as relatively low altitudes and the sun baked rocky terrains of desert areas. 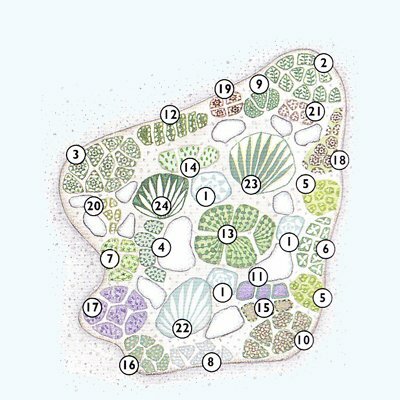 Most Alpines need well extremely dry conditions to thrive and will not flourish if the soil is wet. Make sure that water is not held on the surface. If the water puddles after it rains it will be necessary to improve the drainage. Spread a drainage layer of broken bricks, gravel or stones thirty to fifty centimetre deep. 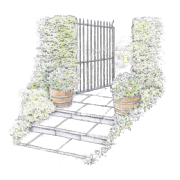 Then cover with this with inverted turfs or grit and well draining soil. Don't create your rockery under a tree. The autumn leaves will collect on your bed forming a wet layer that will rot your plants. Start with a slope: Make use of an existing slope if it is possible. This will ease the creation of you bed. 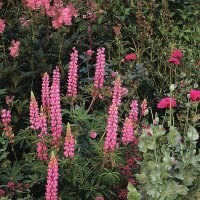 Plant mix: Use a mix of garden plants to try and mimic the species you could find growing in the wild. 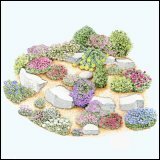 A gentle, sunny bank sheltered from cold drying winds and backed by a wall provides ideal growing conditions for alpines. 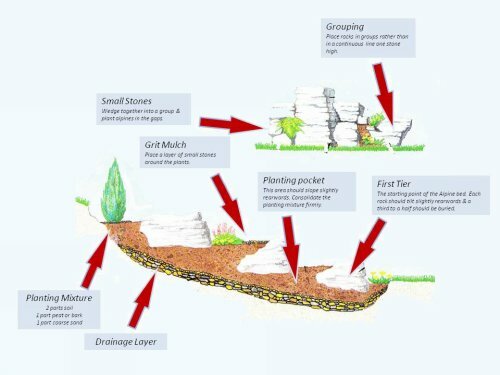 If you don't have a natural slope create a mound in a corner of your garden. Shallow slopes look far more natural than a sudden steep mound in what is an otherwise level slope. As a general rule for every thirty centimetre rise you should have a length of one to one and a half metres. Patience: When building a rockery from scratch wait until the bed has stabilized before planting. Ideally, you should allow a winter to pass between constructing and building. 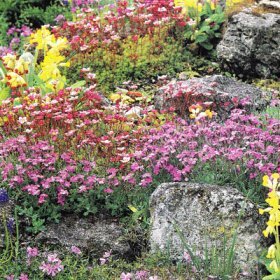 Alpine Plants: Create a patchwork of low growing perennials with stonecrops, house leeks, mossy saxifrage, pasque flower, maiden pink, balloon flower, gentians, cranesbills, salmon primrose and fairy foxglove. 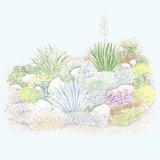 Volume: Add high points and interest to a rockery with some dwarf conifers such as mugo pine, common junipur and small shrubs such as hebes, brooms and heathers, which won't overshadow the perennials. Lavender, thyme, rosemary, rock rose and other scrubland plants will tolerate rockeries that become very hot in summer. Ferns and hostas are good for shady banks.